the S.H.A.P.I.R.O chart shows an overview the actual biochemical pathways and how they interact in the body, leading to hair loss in individuals genetically prone to male pattern balding. Always a pioneer in the hair transplantation field, Dr. Shapiro added an Anabolic Index Rating scoring system to the chart. Hair loss patients indicate their recent use of anabolics, including workout products, and add the numbers to produce a score. “This chart is to be used by the hair loss physician to gauge their patients’ risk for future hair loss,” said Dr. Shapiro. The higher the score, the higher their risk of hair loss, especially if they have male pattern balding. 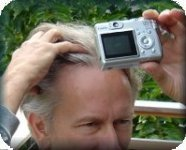 Male pattern balding causes the hair follicles on the top and front of the scalp to miniaturize and eventually stop producing hair as a person ages. Testosterone, a naturally-occurring male hormone, converts to DHT, which causes the hair loss. If the patient uses anabolics, testosterone levels become elevated, causing male pattern balding to start prematurely or accelerate. In his 20+ year career as a hair loss physician, Dr. Shapiro began to suspect a connection between >Anabolics & Hair Loss Risk Shown in New S.H.A.P.I.R.O Chart/>anabolic use and hair loss. “I have seen hair loss for years from supplement use at the gym,” he said. He began to study how nutrition affects the hair. From this work, he developed a line of Help Hair products, including the Help Hair(R) Shake. This shake has a whey protein concentrate base, which is a more natural form of whey than the whey protein isolate used in most whey-based nutritional supplements. The Help Hair Shake contains additional vitamins and ingredients specifically chosen for their hair-enhancing properties. Dr. Shapiro conducted a study in 2010 on how the Help Hair Shake influences the growth of transplanted hair. All the patients who took Help Hair Shake as directed had significant hair growth 12 weeks after the hair transplant, but the controls had no significant growth by then. While most patients must wait for 9 months to see full hair growth, a follow-up study showed most (89%) patients who took Help Hair had complete growth just 6 months after the hair transplant. Dr. Shapiro coined the term “Accelerated Follicular Restoration™ (AFR™)” to describe this method. Hair transplant doctors around the world are now becoming AFR™ doctors under Dr. Shapiro’s tutelage. Hair lost physicians and individuals suffering from hair loss who would like further information on hair loss or the use of this chart can email Dr. Shapiro at info@DrShapiroshairinstitute.com. This entry was posted in Baldness, Genetics, Hair Loss, Hair Loss Products, Hair Transplant, Hair Transplant Physicians on July 25, 2011 by Larry Shapiro.